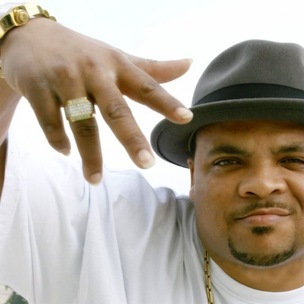 As a member of Eazy-E’s Ruthless Records, G-funk pioneer Kokane helped the Godfather of Gangster Rap build a brand that would serve as the prototype for Hip Hop’s independent label business model. But with the buzzed about N.W.A biopic, which is being produced by Ice Cube’s CubeVision production company, already in the casting process, Kokane worries that his former boss’ legacy is being misrepresented. In an exclusive interview with HipHopDX, the west coast crooner says he refuses to sit idly by. Kokane said that Ice Cube is making a movie without getting the facts from the people that witnessed it first-hand. Kokane is looking to bring the West Coast full-circle with his new label, Bud E Boy Ent., which features a roster of artists and producers from various locations, including one that with ties to the past.